The children have been fascinated by spiders this week. We have read stories about them and used them as math manipulatives in some of our ten frame activities. Today the children hoped to bring them outside. 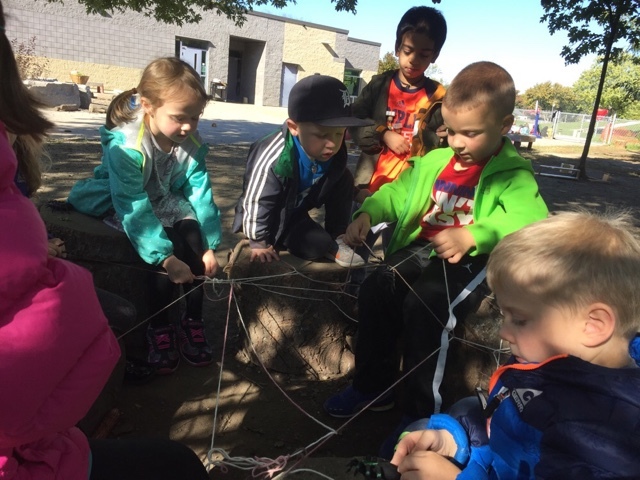 "We can use yarn for the web! We can spin a web ourselves for them!" 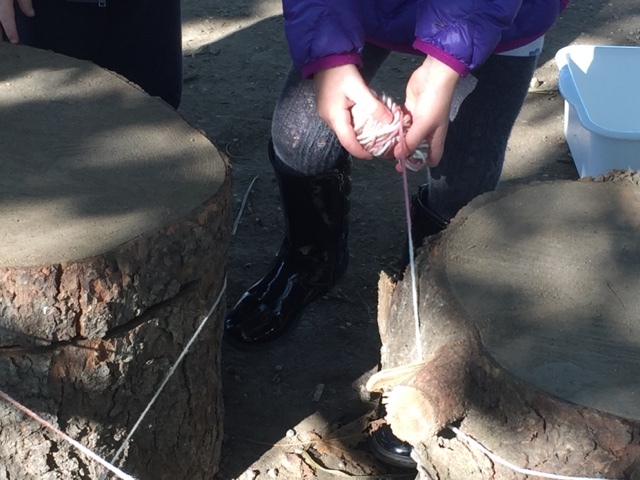 The children took turns weaving and winding a light coloured length of yarn around a circle of tree stumps. 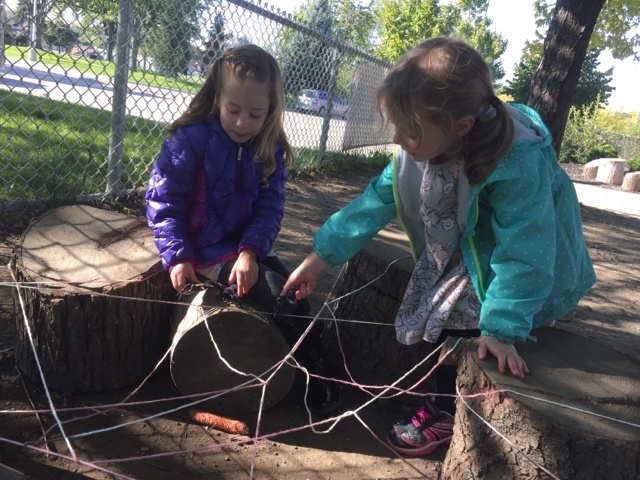 This took some coordination and effort as the children had to move over and under the yarn in order to create a realistic web. "Look at all the shapes! 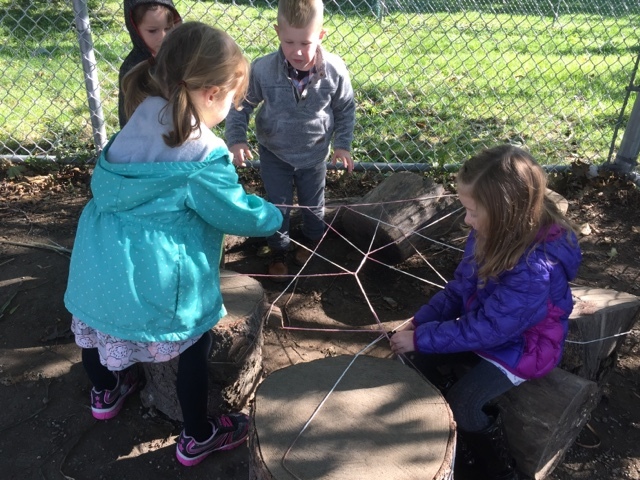 There are a lot of triangles in this web!" 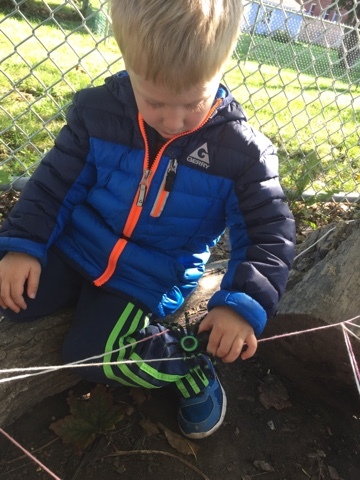 Math is everywhere, even outdoors the children observed! 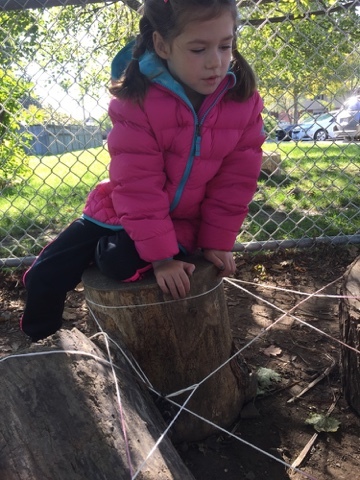 After the web was created the children used the stumps as chairs and sat in a circle in order to play together more effectively. As an observer I overheard much rich oral language in the children's discussions. 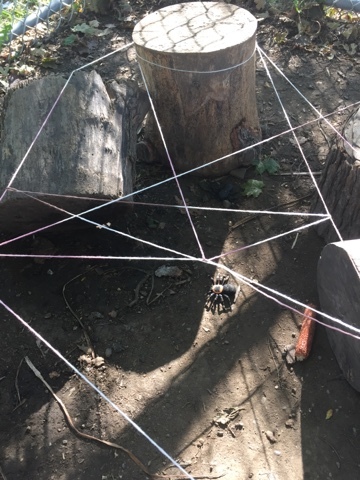 They were roleplaying that the spiders were a family on the hunt for food - this involved turn taking, speaking in role, and the use of specialized vocabulary in order to make the play meaningful and realistic. Many children participated and although the spiders looked quite realistic, no child was too scared to play. 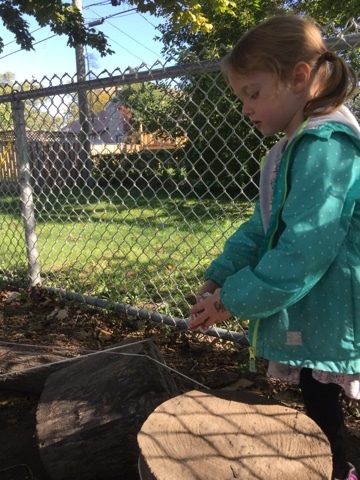 As an eco-focused school instilling a love and respect for nature and all living things is a priority. 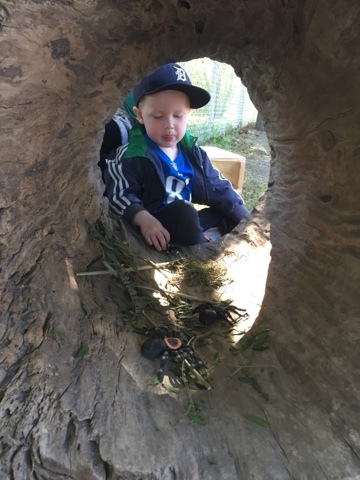 What better way to help children appreciate nature then by encouraging them to play with realistic spiders right out in the beautiful autumn sun! 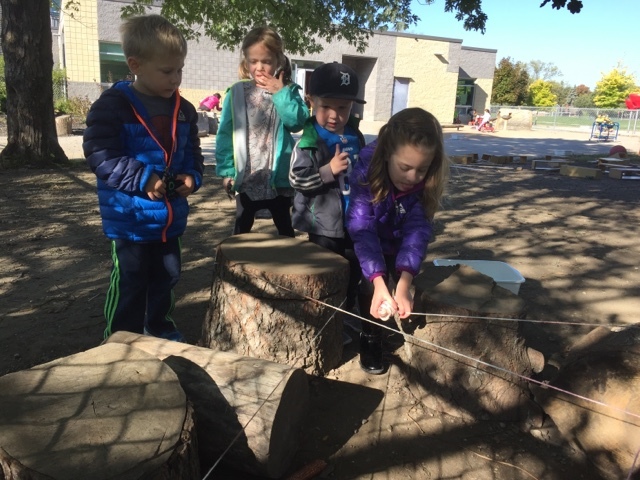 Eventually the spiders were on the move and found new homes in the yard! I can't wait to see what adventures await us on Monday! This is delightful. I love reading your posts. It makes me long for days with children again.